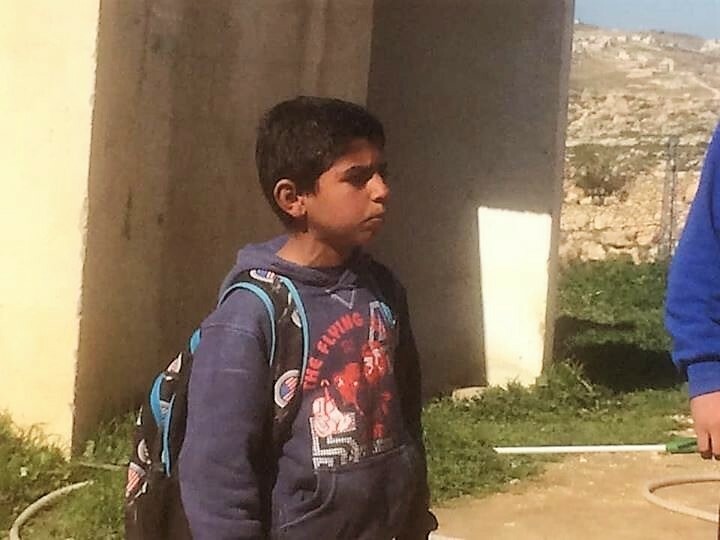 On January 30 The Israeli Civil Administration (DCO) issued demolition orders for the school and two private family houses in the Palestinian village of Khallet Athaba and a stop work order for a house in the village of Tuba. Israeli authorities delivered a stop work order for the home of this child’s family in the village of Tuba. It is impossible for families to get building permits. And stop work orders are often followed by demolition orders. This entry was posted in MRSCP and tagged Apartheid, Ethnic Cleansing, Home Demolition, Images, Nonviolence, Olive Oil, Settlements, Travel Restrictions, West Bank by admin. Bookmark the permalink.